The glass arrived to make the stained glass panel for the Byrdcliffe-ish cabinet. As usual, it’s not quite what is shown in the online pictures. Some of it is pretty close, some of it is nothing like the catalog photos. I’ve been holding off on finishing the cabinet so I could pick the best option to match the glass. 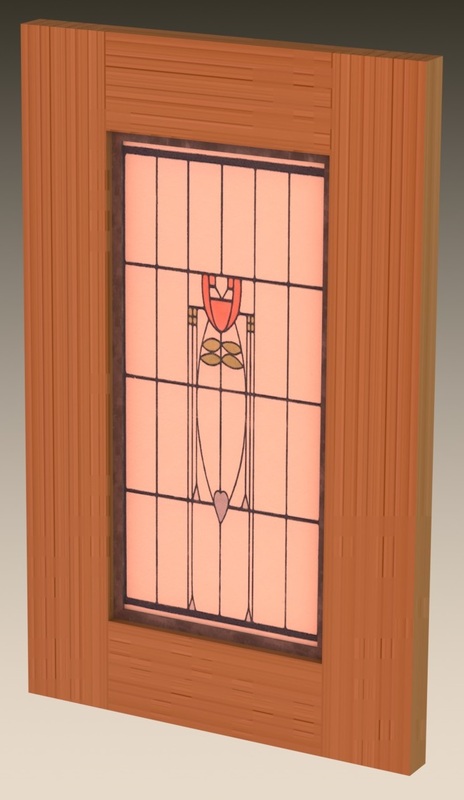 The main glass color (the background in this panel) is what I’ll use to choose the finish for the white oak. 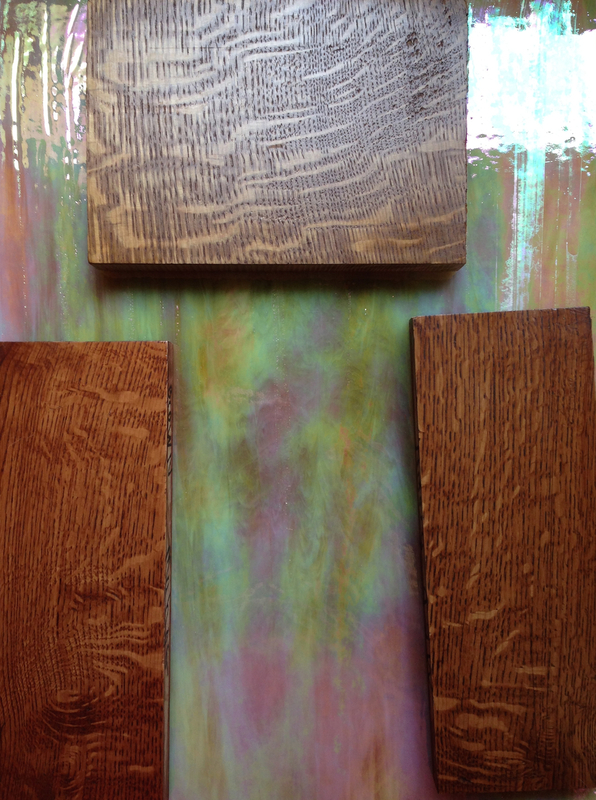 Here are my finish samples laid on top of the actual glass. I don’t think the tone of the fumed sample works very well with this glass — that is the middle finish sample in both pictures. Either of the other two look OK, although the ray fleck is too subdued for me. Grumble, grumble. To my eye the fumed one has too dull of a tone to use with the glass. The other two samples look the same to me but I think either of them are the to go to pieces. I like the one on the right, but the left is close – either one. Nice color. If that’s the background, your stained glass panel is going to be very eye-catching. 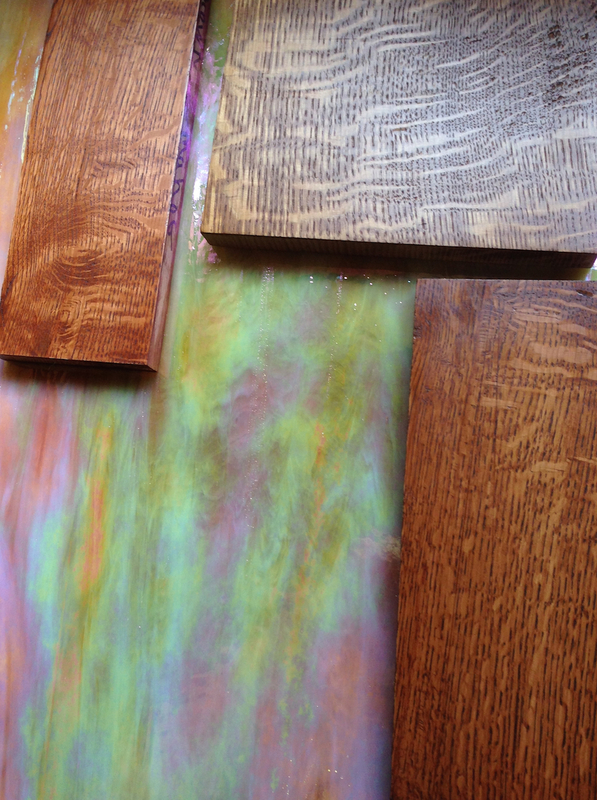 I would use the fumed oak (which, I think, makes the fleck pop right out) because it’s more neutral, and will not compete with the stained glass panel.